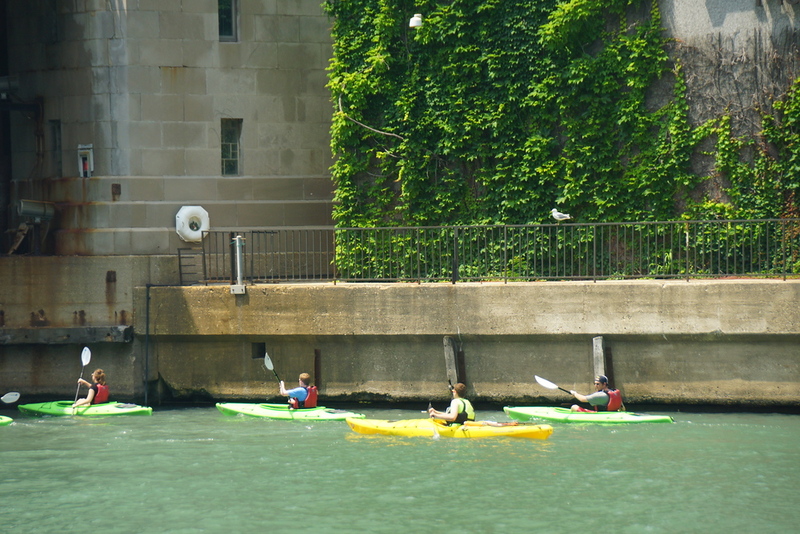 An ideal way to enjoy the architecture in the downtown epicenter of Chicago is to take a river walk. 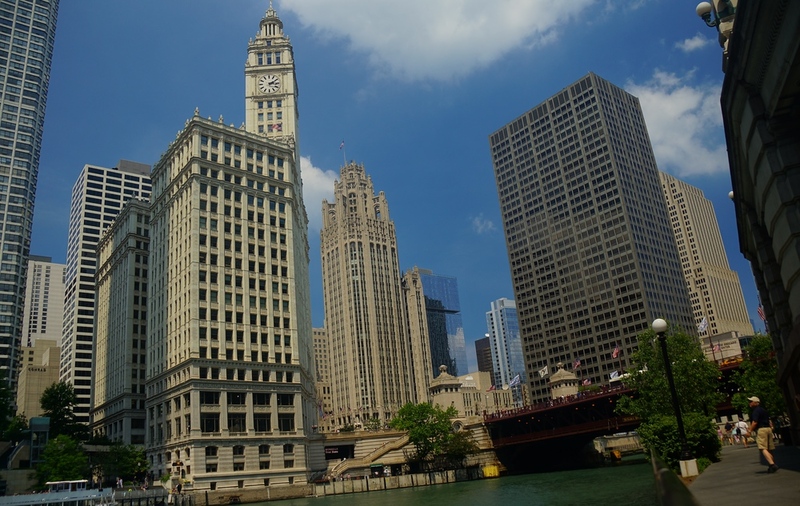 Chicago River is lined with impressive buildings on either side of the Chicago River providing you with ample opportunity to gawk at them. Some of the architecture highlights included Marina City, Trump Tower, and The Wrigley & Tribune Building. Although we did 35 things in the city, this was near the top of the list. Alternatively, if you’re not up for a walk, architecture river tours are a thrilling way to take in the sights along the river. 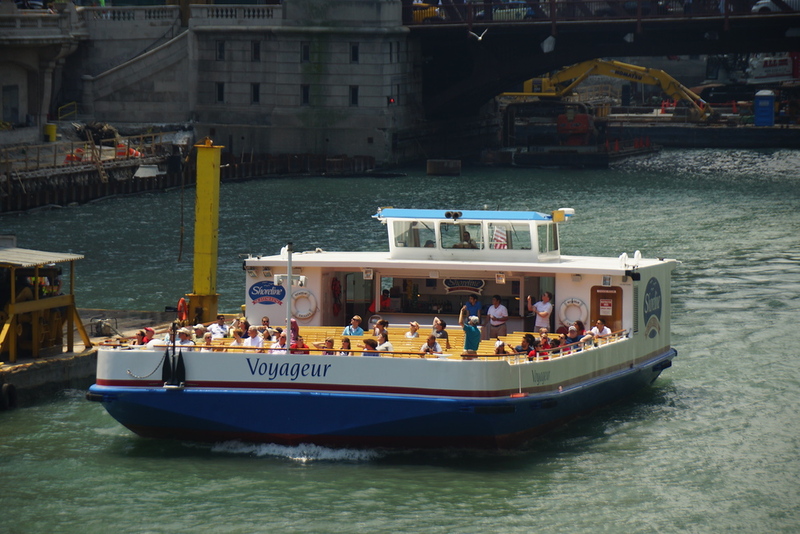 You’ll notice boats of all shapes and sizes plying the Chicago River. If you find yourself here during the summer months kayaking is a popular activity – although, my goodness, I was sweating just looking at them on a day that was in the mid 30’s. Easily one of the most iconic structures in Chicago in recent years is the Cloud Gate also known as ‘The Bean.’ This unique marvel was the brainchild of Anish Kapoor. Unless you visit before the crack of dawn, expect to be brushing elbows with other camera happy tourists. The Crown Fountain is an interactive sculpture located in Millennium Park. 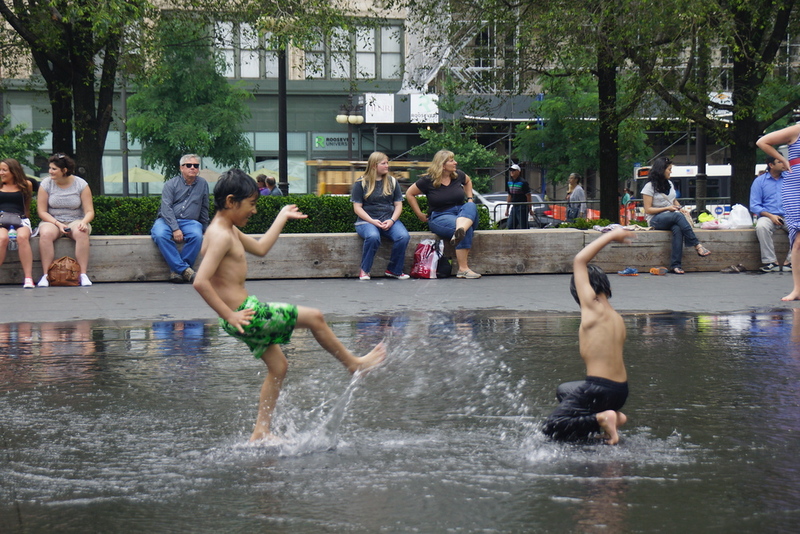 It’s a nice escape from the stifling heat and you’ll encounter a throng of kids splashing around in the water. 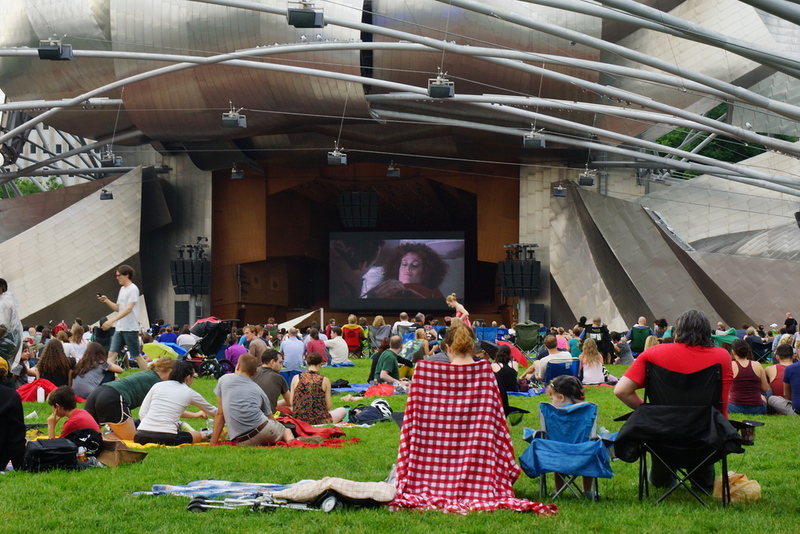 Summer is an ideal time to be in Chicago because of all the free events in the pavilion. We managed to catch a free movie and some concerts during our stay. Remember this golden rule: don’t forget your umbrella! 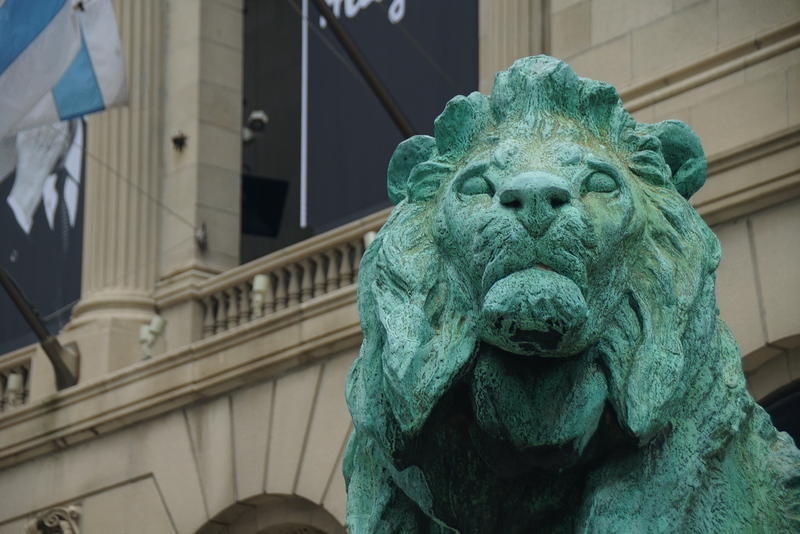 Art lovers will enjoy the Art Institute of Chicago, which holds the work of Internationally renowned artists like Vincent Van Gogh and Paul Gaugin. I’m not normally a huge fan of art galleries but this one is worth going to no matter whether you’re an art connoisseur or not. I’m a die hard Chicago Cubs baseball fan. Pity me! 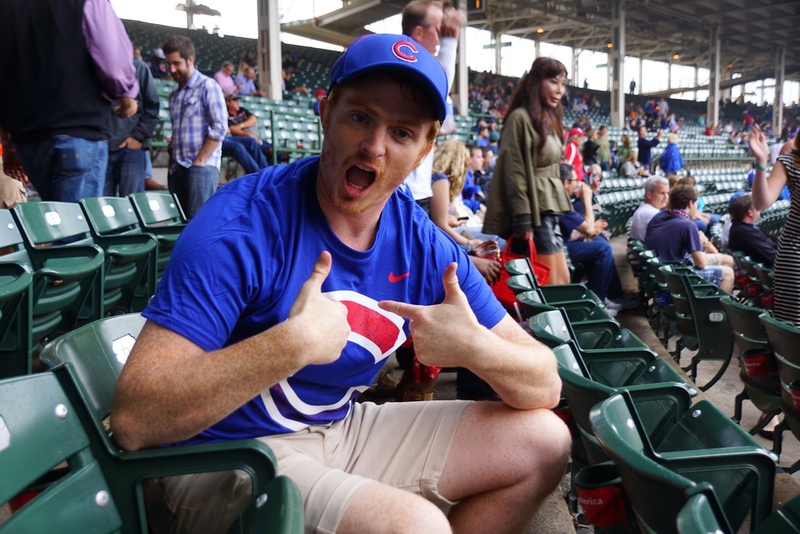 Taking in a Chicago Cubs baseball game at Wrigley field is a must for anyone who visits the city. Wrigley Field is a historic park featuring an ivy covered brick wall and hand operated outfield scoreboard. You won’t find a ballpark quite like it anywhere else in the United States. The Cubs, on the other hand, are affectionately called the ‘lovable losers’ having last won a World Series when the Ottoman Empire was still in existence. They hold the rare distinction of being the most futile team in professional sports; however, that doesn’t stop the die hard fans (note: naive – myself included) from rooting for them. Formerly known as the Sears Tower, Willis Tower is now the 2nd tallest building in the United States. It happened to be a foggy day when we visited ideally setting the scene for atmospheric photos. The University of Chicago is one of the most gorgeous campuses I’ve ever had the privilege of setting foot on. 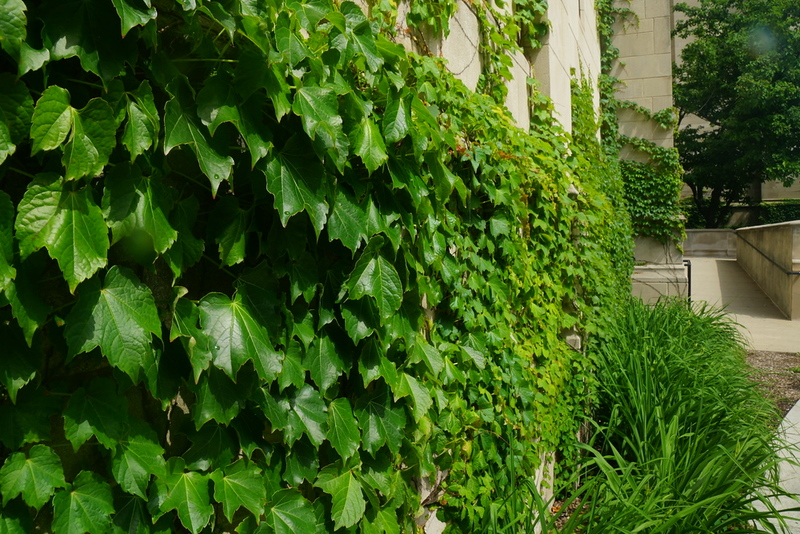 Gothic style buildings draped in Ivy are what you’ll notice as you meander you way around campus. For a perfect example of this, step inside the beautiful Rockefeller Chapel. 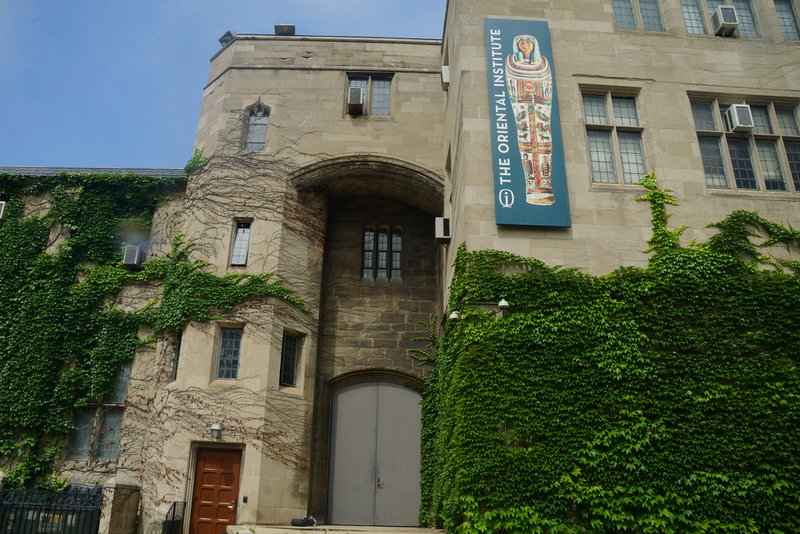 The campus is also home to the Oriental Institute where the public can view an extensive collection of artifacts from the Ancient Near East. Although Chicago is not nearly as chaotic as New York City, it can nevertheless be overwhelming at times. 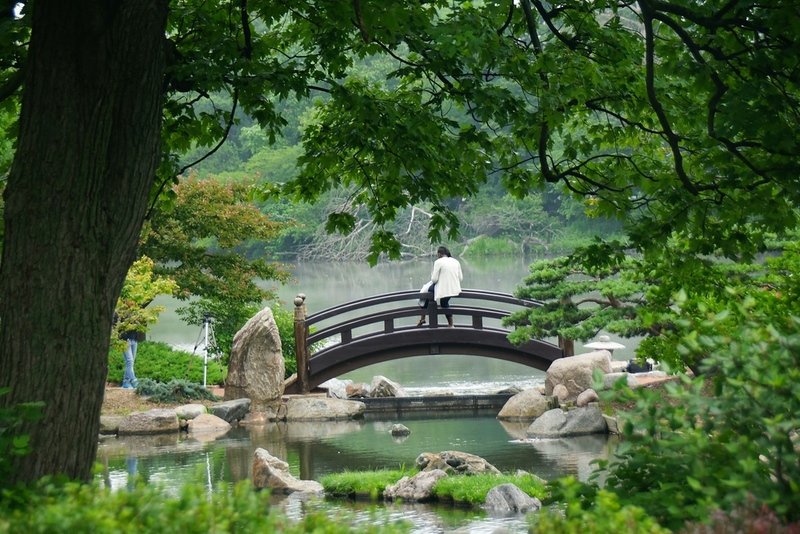 I suggest visiting Osaka Garden to escape it all. Located in Jackson Park, it is a tranquil place with lots of little paths that you can walk down. This Chicago neighborhood was put on the map by the movie Wicker Park starring Josh Hartnett and Diane Kruger. 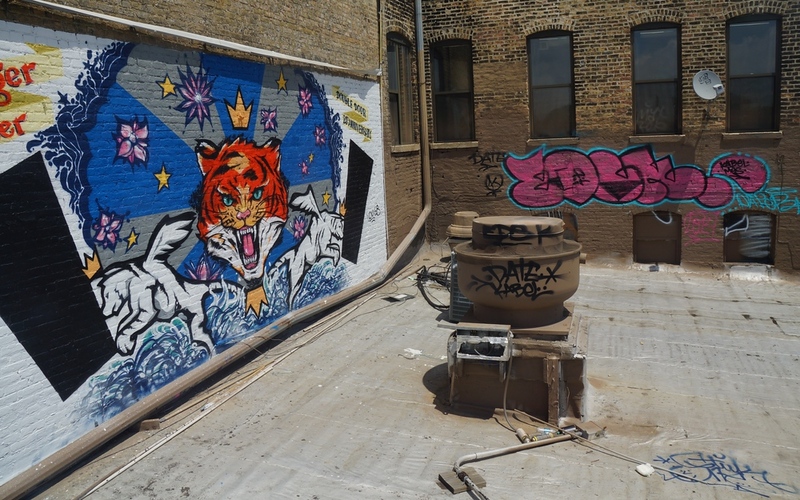 If you visit the neighborhood today you’ll find it has a hipster feel, with lots of street art down every alley. 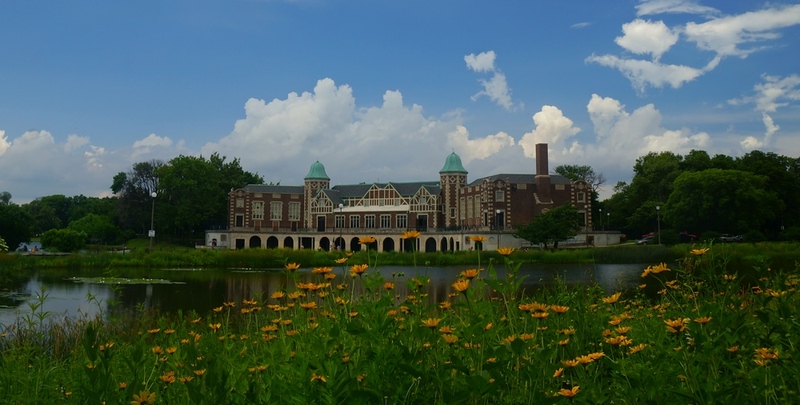 Humboldt Park is a little far removed from the downtown area so it’s not as popular with visitors, however, it’s an ideal location to soak in nature. You can wander around the pond, catch a pick up game of baseball, or grab a quick bite from one of the many food trucks parked in the area. 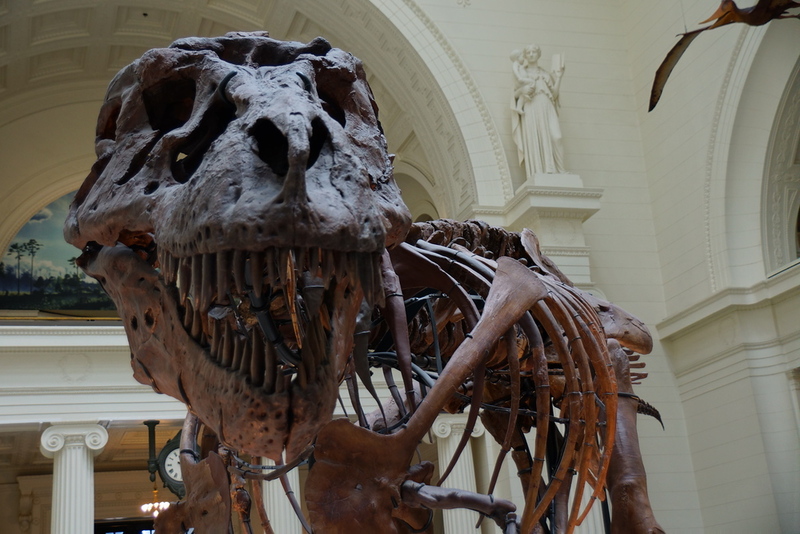 For a chance to lock eyes with dinosaurs, head over to the Field Museum. This museum is home to the largest and most complete T-Rex to have ever been found and her name is Sue. Ain’t she pretty? 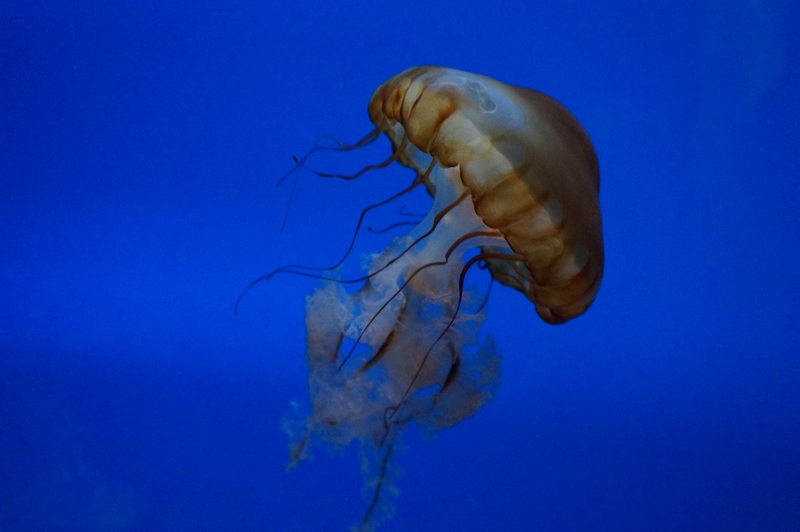 Right next door is the Shedd Aquarium which is a popular attraction for families. We enjoyed checking out the plethora of museums in this surrounding area to kill time on a rainy day. 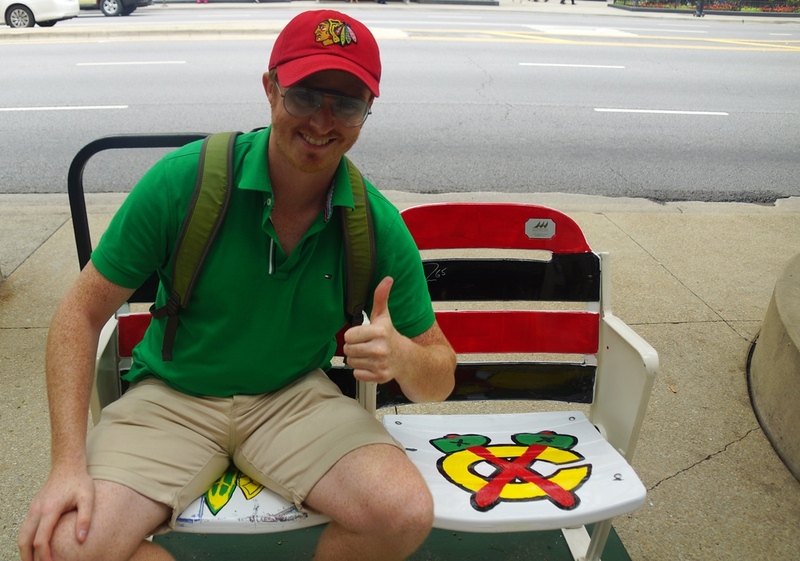 My beloved Chicago Blackhawks! As a Canadian, hockey is my religion of choice. If the Cubs have been the ultimate failure of a franchise, the Blackhawks have more than made up for it with Stanley Cup victories in 2010 and 2013. 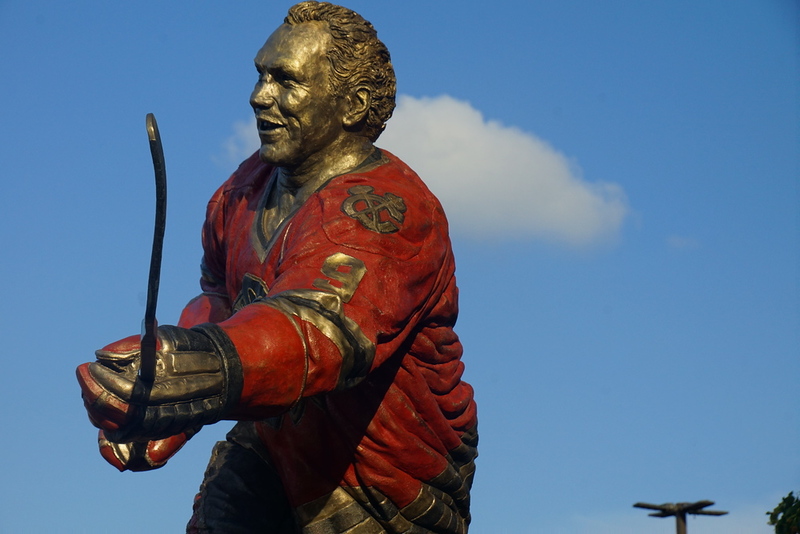 One day I’d like to see a Jonathan Towers and Patrick Kane statue next to the Bobby Hull (pictured above) one. 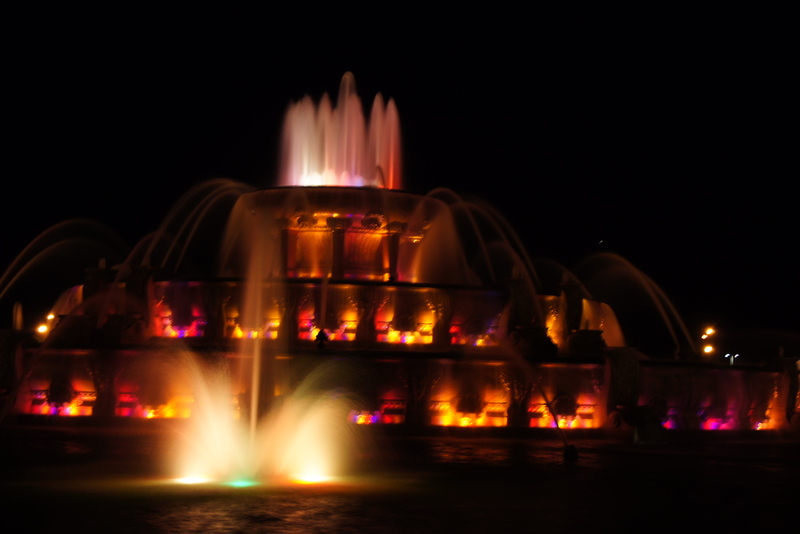 Most spectacular at night, Buckingham Fountain was used in the 90’s sitcom Married with Children during the opening credits. Having already gone up the Willis Tower by day, we decided to visit the John Hancock Center by night. 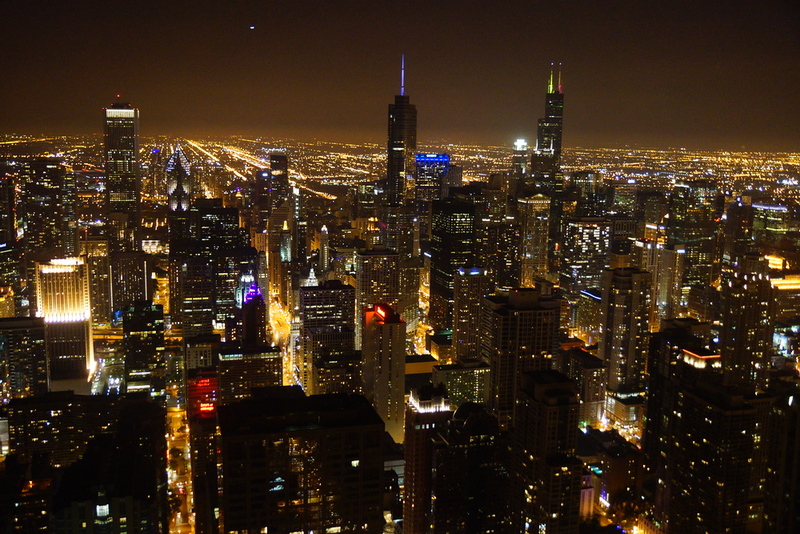 The city really dazzles from the 94th floor and -boy oh boy – is Chicago ever pretty when the lights shine at night. 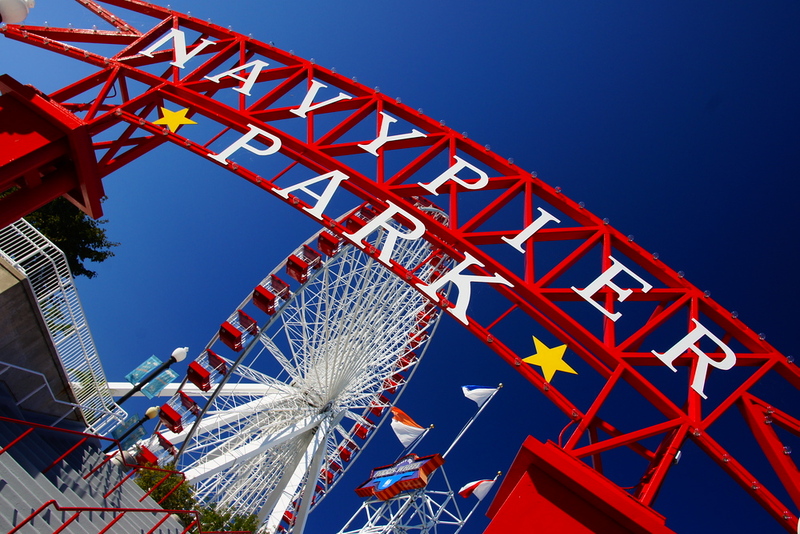 The Navy Pier is a fun place to visit on a weekend as a family outing or for date night. 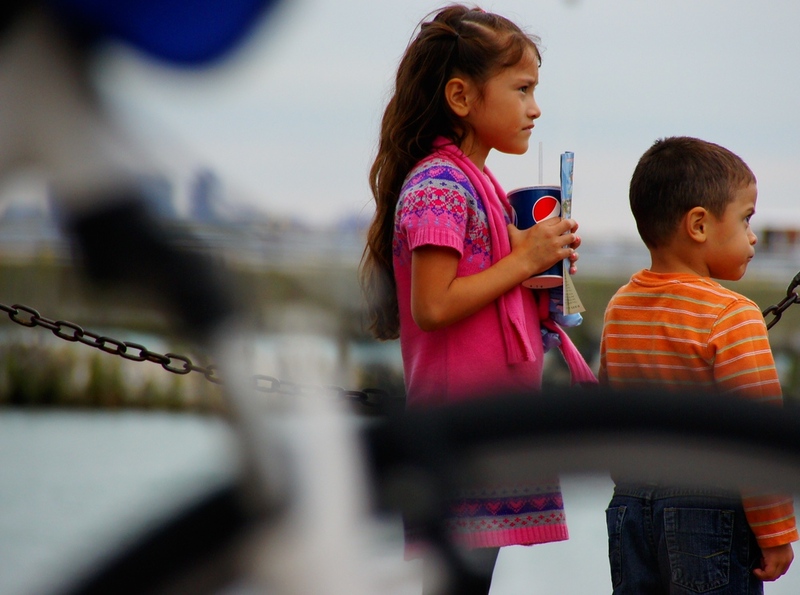 The pier is lined with fun rides including a giant Ferris Wheel, a wave swing, and a carousel. There are a number of free attractions in Chicago. One of them being the Lincoln Park Zoo. 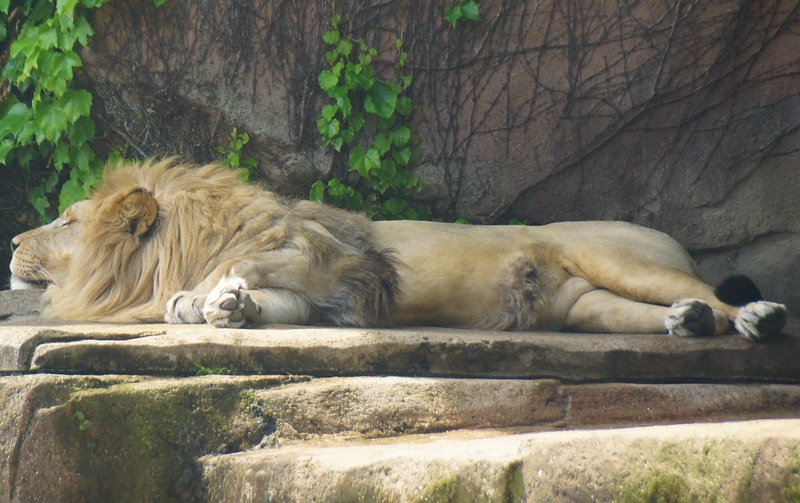 While visiting we spotted plenty of animals including polar bears, lions, tigers, and rhinos. Afterwards we headed over to conservatory which is worth a peak. Located in the north end of the city, North Avenue Beach is a popular hangout spot with beach-dwellers. You’ll find people jogging, playing sports, and working on their tans. 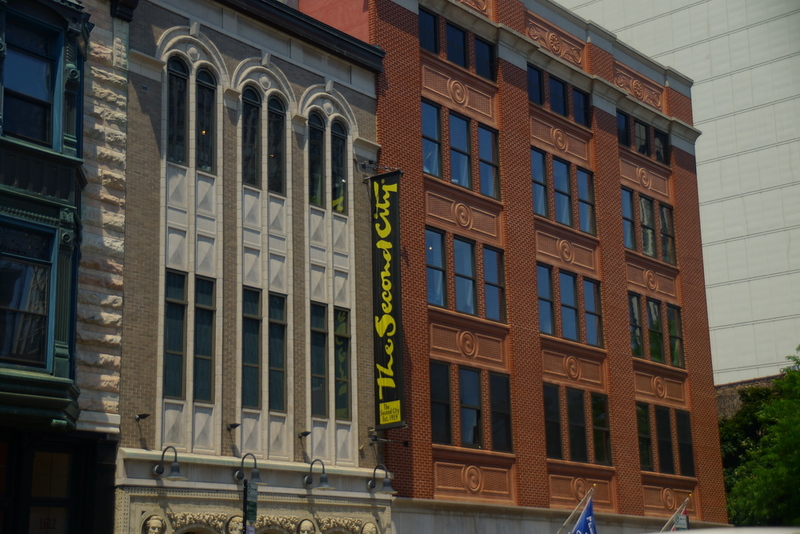 For improvise comedy there’s no better place than The Second City. 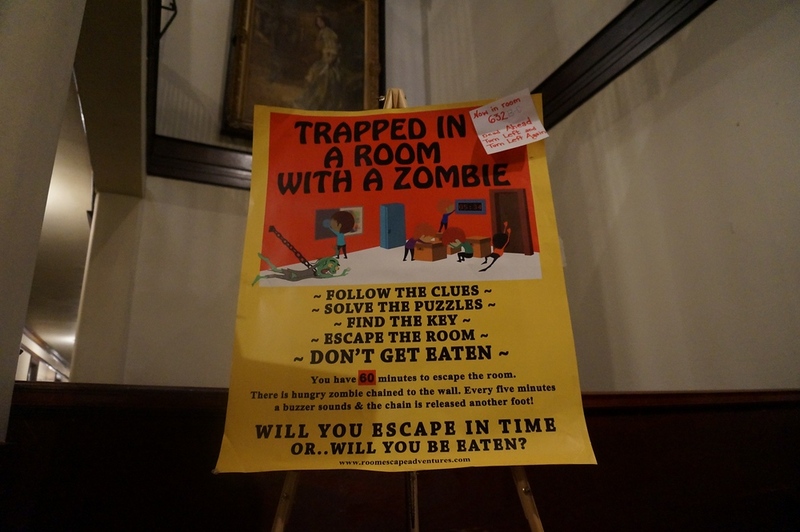 This theater troupe has seen some pretty big names wander through its halls over the decades. The Magnificent Mile is a shopper’s paradise. This area is home to high end boutiques and department stores. If you don’t have a fat wallet come to people watch instead. 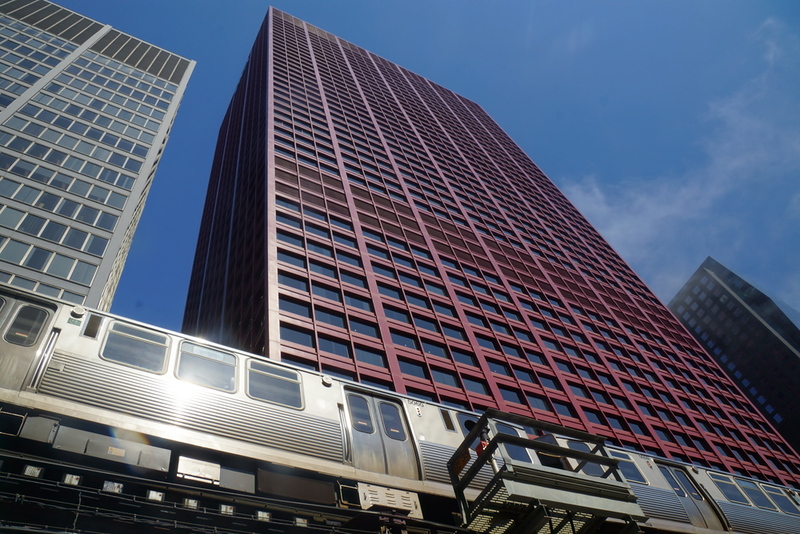 The Chicago L, or the elevated line, is tailor made for zipping around town. A week pass is $28 for unlimited travel. This is the best value purchase you’ll make during your week long stay in the Windy City. Da Bears! 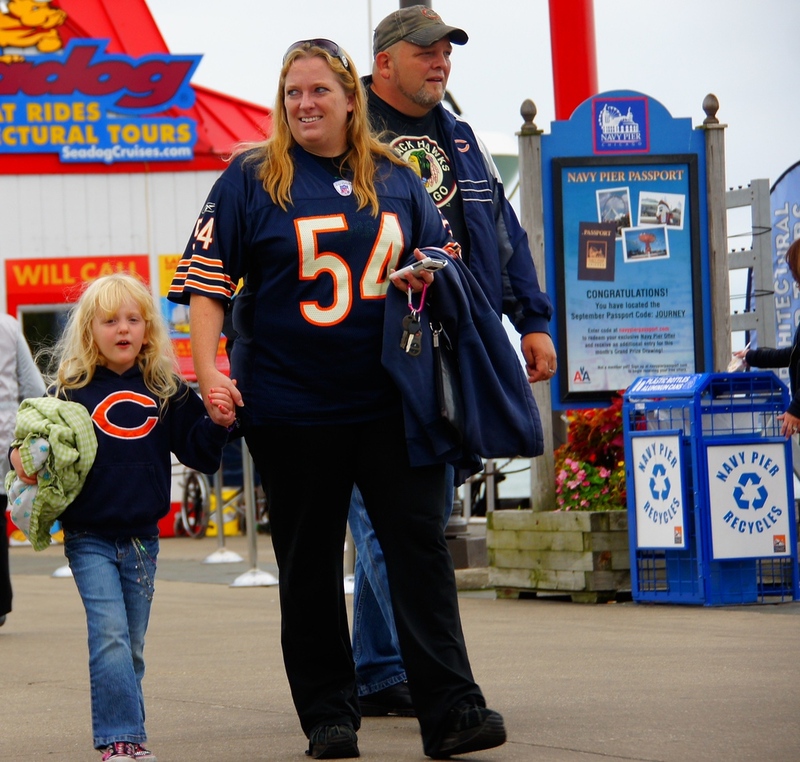 For NFL football action check out a Chicago Bears game at Soldier Field. They play in the fall/winter months. 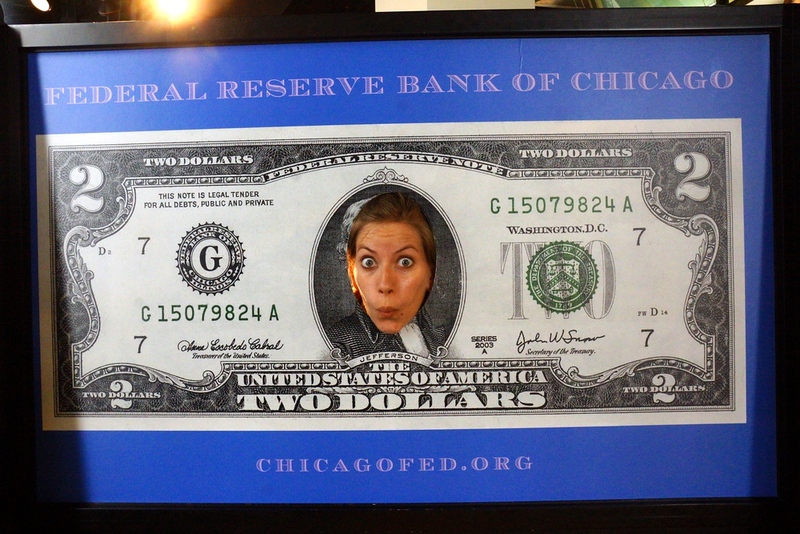 Notice above that shiny two dollar bill with a rather distinct (yet familiar) looking face 😉 As another one of Chicago’s many free attractions, I’d recommend visiting the under-rated Money Museum at the Federal Reserve Bank of Chicago. We were the only ones there when we went! 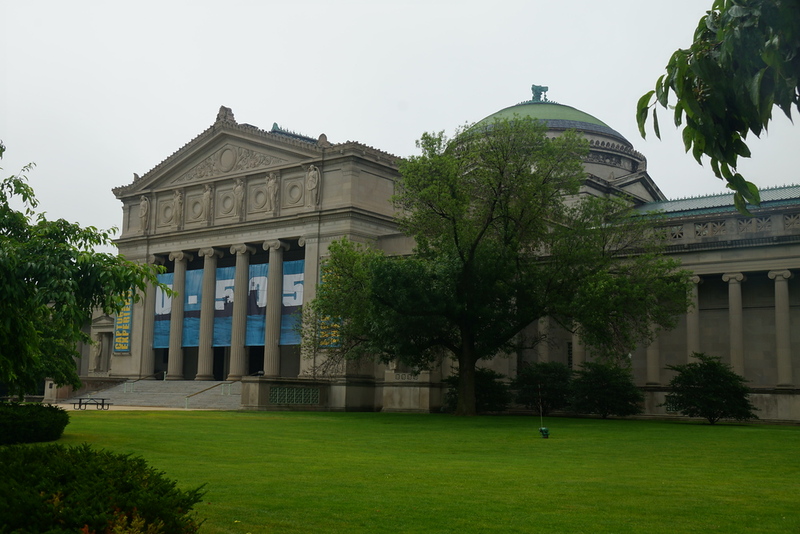 Chicago’s Museum of Science and Technology is the largest science museum in the Western Hemisphere. They cover everything from submarines to weather patterns. This home may not look that impressive from the exterior, but it’s an important example of the Prairie School architectural style which is uniquely American. 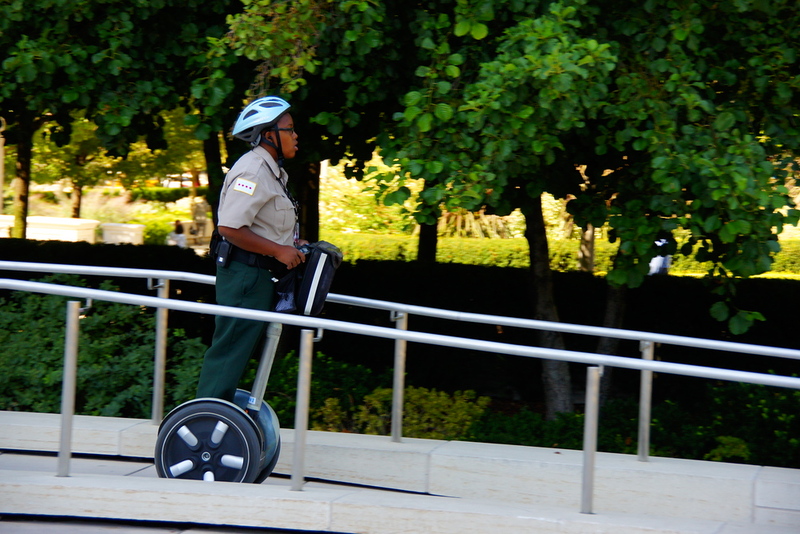 If you tire of walking, segway tours are a zestful way to zip around the city. It’s hard to miss the flashing lights of the historic Chicago Theatre! Their events calendar is packed with some big names from the music industry. And that’s a little preview at our week long visit to Chicago! 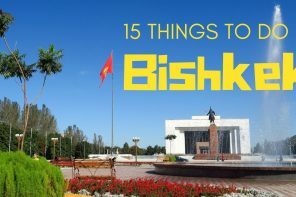 We tried to cover some of the well-known attractions as well as some sights that lie a little further from the downtown core. We hope this video, photo essay and travel guide will help you plan your next visit to Chicago. If you’ve already been to the Windy City be sure to leave us a comment and let us know about some of your favorite spots. 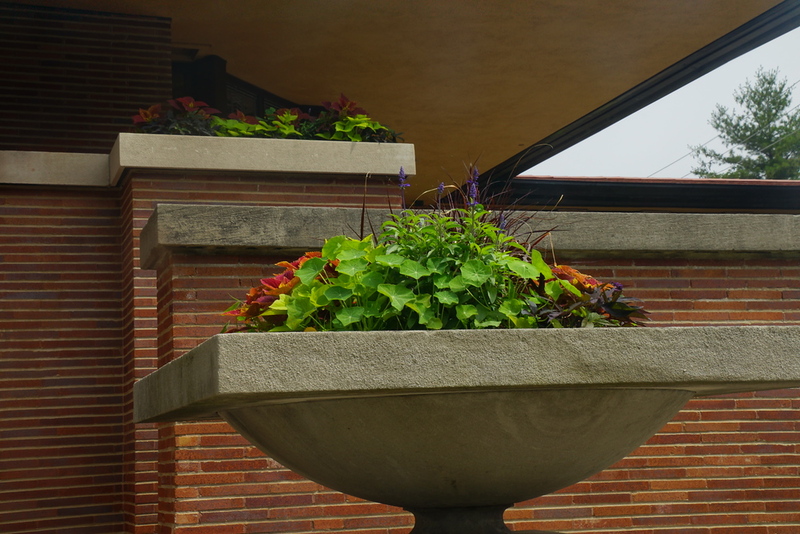 Please reconsider your caption of the Robie House. And spell it correctly. Oh Chi-town how I miss it. Great list of things to do. 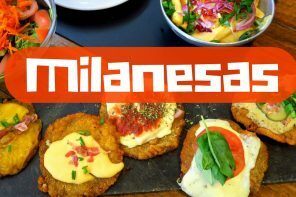 I spent a year in Chicago and this post made me miss it like crazy! I love the food and taking the water taxi through the city. Great post! I have to commend you for doing such a balanced job of covering the great experiences in my city. People don’t typically venture past the North Side so i really appreciate that you included U of C, Humboldt Park and Osaka Gardens, where I actually got married. I’d also add the Chicago Cultural Center, which boasts the world’s largest Tiffany Dome as well as fee concerts, movies and exhibits. A small correction is the Museum of Science and Industry, not Technology and I really believe you meant to list the winning White Sox and not the losing Cubs but I forgive you! Many years ago I went up to the top floor of the Willis Tower (called the Sears Tower back then) and the view is breathtaking. I was up there for four hours just enjoying the view. Next time I need to check out the view from the Hancock tower. Chicago looks amazing! 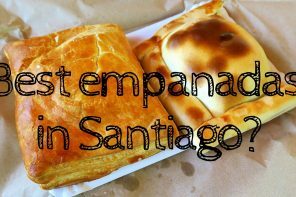 Their foods are great since they vary in different cultures and i want to try them all! Thanks! It’s a world class city that I recommend highly to others. 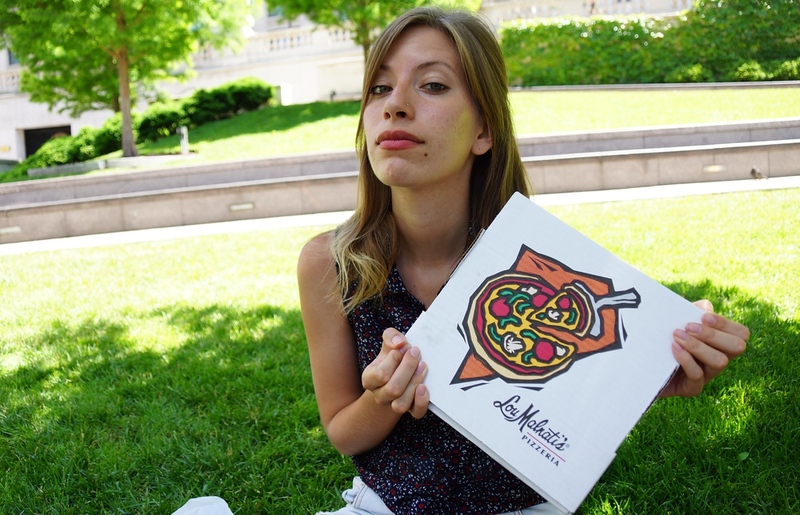 Lou Malnati’s is the best, hands down! As a native Chicagoan, my favorite part of the city is the food scene. Longman and Eagle, Bite Cafe, Naha, Schwa, Kuma’s Corner, Hot Dougs, Big Star, Crisp, Little Goat, etc. 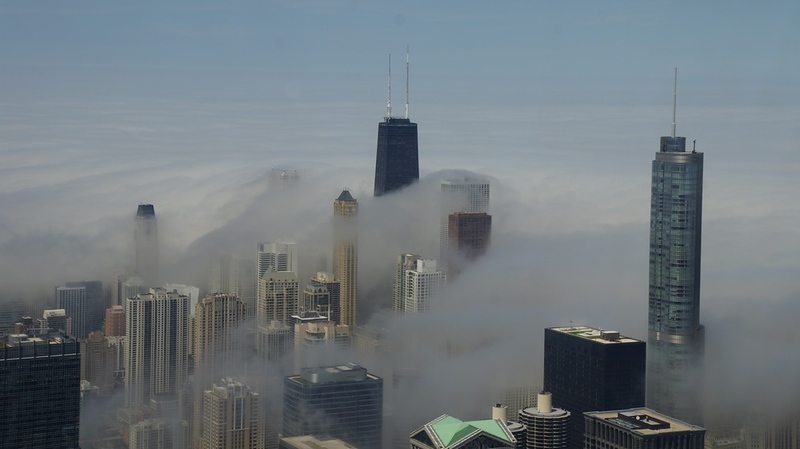 You timed your visit to Willis Tower perfectly, I love that picture with the foggy city. I’ve never made it to Chicago (apart from O’Hare) so will have to visit at some point. This is a fabulous checklist and am sure would keep me very busy. As for supporting a sporting team with very limited success in recent times, I know all about that! I can’t believe I’ve never been to Chicago! 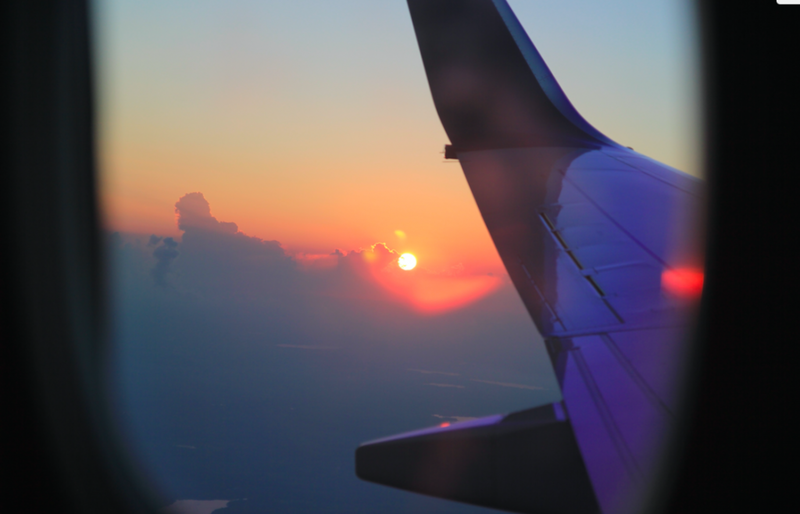 It’s such an easy flight from NYC. I must visit before I leave on my RTW trip! Humboldt park looks beautiful. We’ve never been to Chicago and this is extremely inspiring to go! Phenomenal job with this guide- amazing photos and wonderfully diverse. 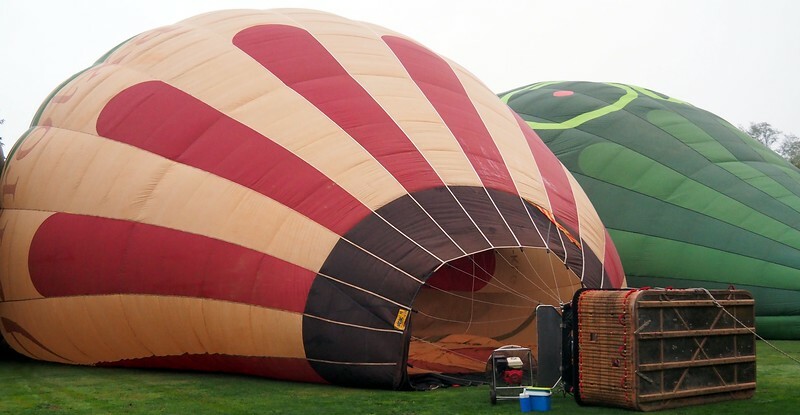 You have something for everyone covered! Thanks Alex! Coming from Boston would be quite the train trip but well worth it in my opinion. Thanks Anna! We experienced crazy weather (both good and bad) during our one week stay! Great information and photos. My favorite thing about Chicago are actually the fabulous restaurants. One of my favorites is RPM Italian. Ahh Giordano’s. Great pizza. And living for many years in New York, I was skeptical. Good shoutout Sam! Great post.. I hope to visit Chicago one day..
Loving the side wide post! Makes both the photos and video come out great. What a list!! All the pictures make the city look amazing, especially of the foggy skyline and the Osaka park. Thanks for sharing! Thanks Mary! 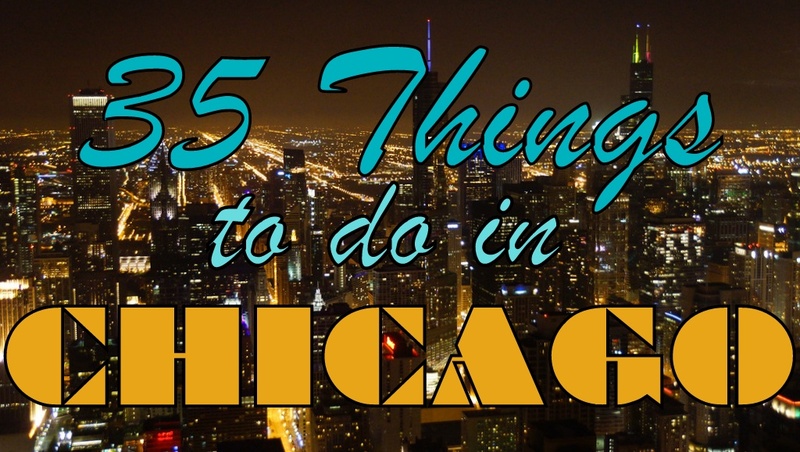 There certainly is a lot to do in the Windy City! Thanks Rhonda! We had a wonderful 3 week trip including our time in Montreal and New York City. 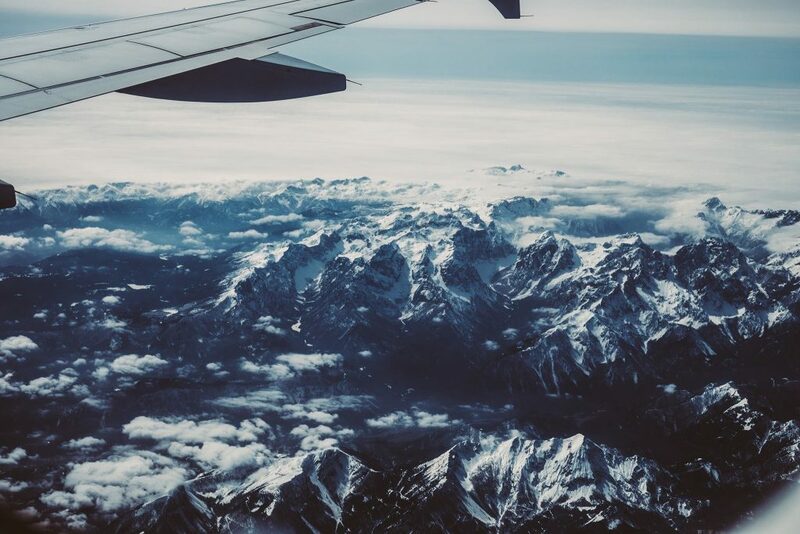 It has made me realize how much I want to travel more in Canada and the US after having spent so much time abroad. Lou Malnati’s is awesome! That’s a wonderful list! I must admit I never expected Chicago to be so exciting. 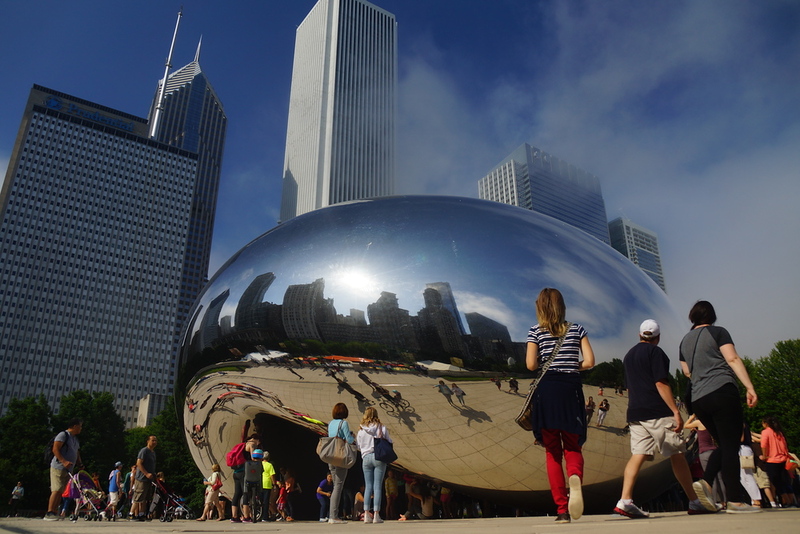 As a traveler, I am mostly inclined toward European countries and cities, but Chicago is FULL OF LIFE. Super awesome and detailed post! Thanks! Eating a deep dish pizza and going to see a Cubs game are hands down the 2 best things to do in Chicago. If you ever head out to the suburbs a little bit, there’s a hot dog place called “Gene and Judes” which sell Chicago style Vienna hot dogs. 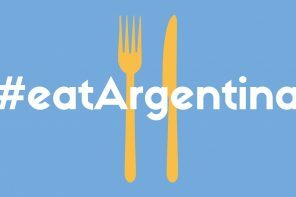 If you ever get a chance, try that place out! Trust me, the long line is worth it! I love Chicago!! I always enjoy your “what to do” posts Sam – you show the popular highlights as well as spots others might overlook. This post on Chicago is no different and I thank you for that. Kudos! Thanks Maria! 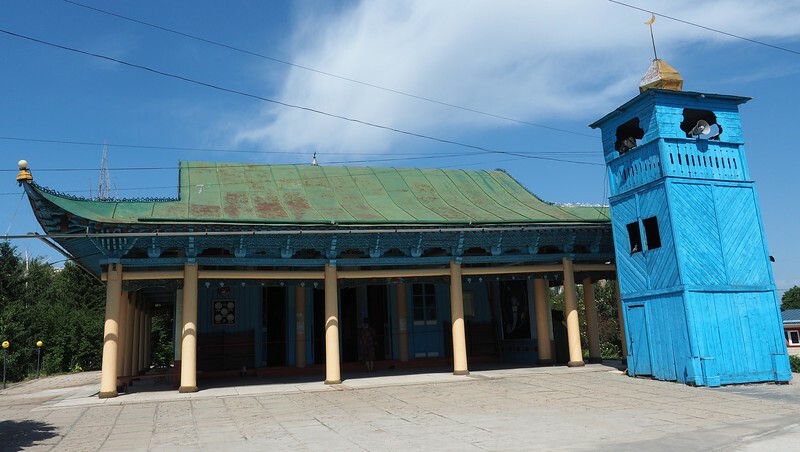 That is definitely always our goal: to highlight the top attractions but also to cover places that might otherwise be overlooked. It is too bad we didn’t have a couple more days in the city because I wanted to cover more of the neighborhoods. Wow these photos make me feel as if I am there. I LOVED the architecture tour given aboard the city river tour. The guides gave so many tidbits and snippets of funny stories. I never looked at the city the same way again. Did you have a favorite story about the city? Or a personal story from Chicago? One of my favorite stories is that we almost didn’t make it out of the city for our scheduled Greyhound bus ride because of severe weather. Damn. When I was living in Canada I kept meaning to go visit Chicago (as I was so much closer to it than here in the UK) and never got round to it. Totally regretting it now, it seems like a great city! I was writing about Chicago Tilt at the 360 Chicago for work the other day, seems like a pretty cool experience, adds a bit more excitement to an observation tower. I love the foggy skyline, photo by the way! Chicago looks like a seriously awesome city. Will definitely keep things tips in mind whenever I visit. Oh man, I need to go to Chicago STAT. I was going to mention one or two places that you wrote about as “must-see” for me, but I lost count after 10 or so! Definitely putting Chicago high up there on my travel bucket list. Thanks for such an awesome post, bookmarking it right now. Thanks Candice 🙂 I think a lot of people don’t realize how great of a city Chicago really is. I hope you get a chance to visit soon! 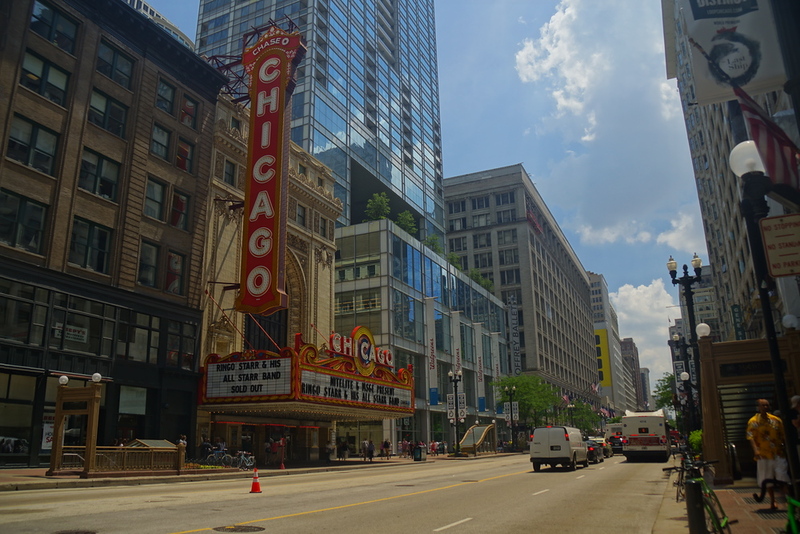 Chicago seems like a seriously epic city … North America has more to offer than meets the eye, having been to Toronto and now Montreal for extended stays! I know what you mean Buddy! Being abroad for such a long time has allowed me to come back home to North America with fresh eyes. 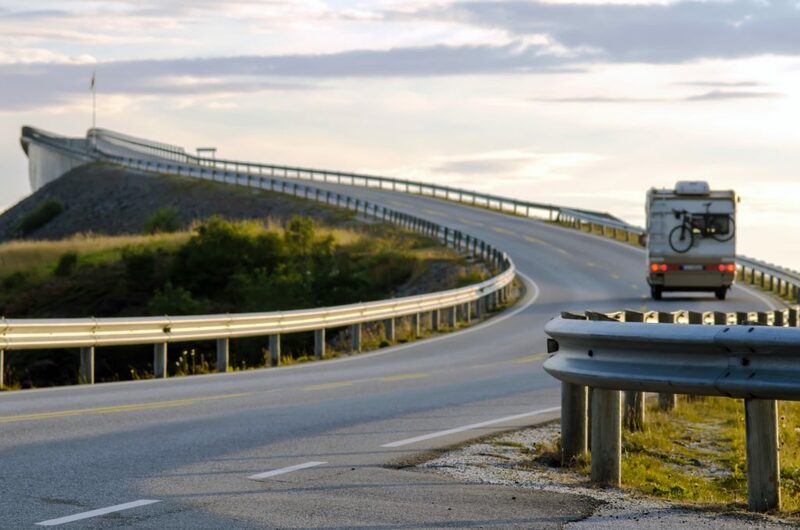 I want to do an epic road trip across Canada/USA!